The lovely medieval church of St Mary's is set in glorious Chiltern landscape, in the Buckinghamshire village of Hambleden. 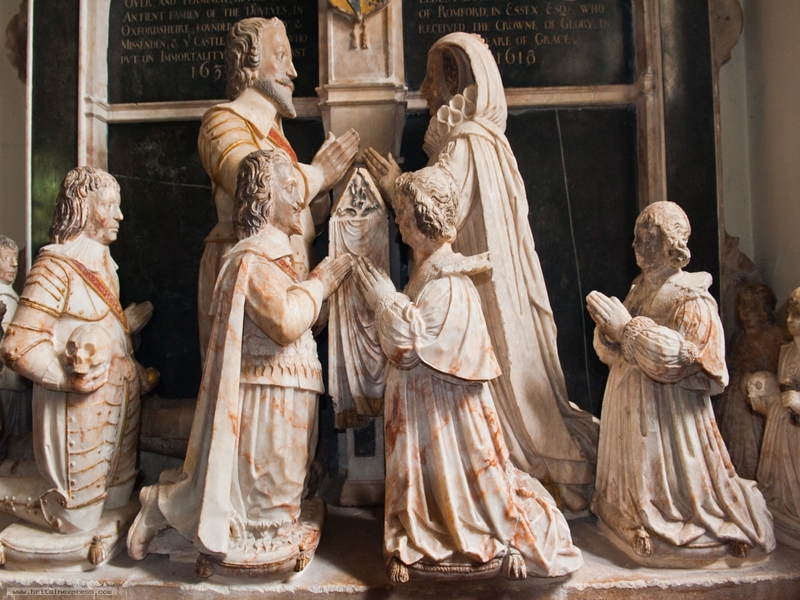 One of the finest historic features of the church is this ornate memorial to Sir Cope D'Oyley (d. 1633), his wife Martha (d. 1618) and their 10 children. On the memorial is a verse in honour of Lady D'Oyley, probably written by the well-known poet Francis Quarles, Lady Martha's brother.